Blogumentary [chuck olsen]: FLICKR FUN! 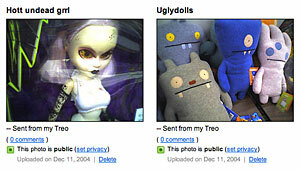 I finally caught up with the rest of the civilized blogosphere and got me a Flickr account. Crap! You totally already photgraphed every single thing I got you for Christmas. dammit.